We offer services 7 days per week at all of Floridas nineteen major commercial airports, twelve of which are international airports. For your convenience and to help accommodate your travel needs you will find our car lots in all of the airports noted below. Maps are now available for our airport locations. View Airport Rental Car cities in Florida below. Florida Sun Car Rental offers services for the Florida cities of: Boca Raton, Daytona Beach, Fort Lauderdale, Fort Myers car rental, Jacksonville, Melbourne, Miami, Naples, Orlando Car Rentals, Palm Beach, Panama City, Pensacola, Sarasota, St. Petersburg, Tallahassee, Tampa and Titusville. We now offer short and long-term vehicle rentals. Our rental car rates are less than renting directly from the major auto rental companies. Going to Disneyland in Orlando, use our service to save money. There is no deposit or credit card required to view rental car rates or make a reservation. You will never incur a cancellation fee with our service. 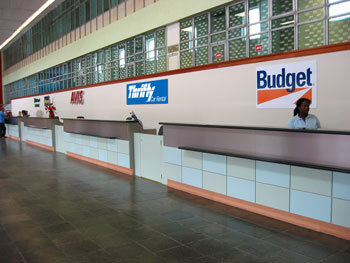 We negotiate with the industries major players, such as Avis, Budget and Dollar.